I had two passions as a child and teenager: writing and painting. I studied art in primary school and wrote novels and poems for my own and for my family's entertainment. I won my first award for one of my novels aged 14. I wrote articles and published a comic strip with one of my friends in the school paper. After qualifying as a lawyer, I lived in Budapest before I moved to London where I live with my English husband, our daughter, a cat and a Newfoundland dog. 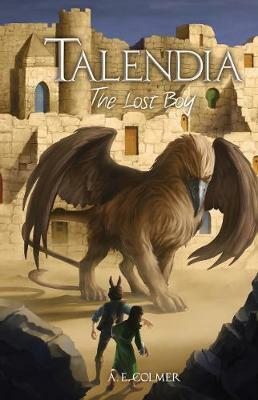 I started working on Talendia in 2016 and the first book in the series "The Lost Boy" was published in the UK in September 2017. Its sequel, "The Forgotten Folk" will be published in April 2019. Currently, I am working on the third book of the series. The most wonderful thing about writing for children is creating fascinating tales that they enjoy reading as well as characters they are fond of and whom they will consider good friends years later. I am particularly interested in library and school visits where I can talk to the children about my fantasy series "Talendia" and its magical creatures. The story began in Merrymead, a fictional town in Cornwall, where a young boy, Samuel Lucas, vanished after a stormy night chasing a cat in his uncle's garden and discovered a staircase in the trunk of an old mulberry tree. The only clue to his disappearance was his book "Tales from Talendia" that he had received from his uncle the same day. Almost thirty years later, a young and troubled girl called Frida, who lives in London with her single mother meets a mysterious bookseller who sells an old book with the same title to her. Frida quickly notices that the book is dedicated to Samuel Lucas. The same night, Frida and her mother have strange visitors who can turn into birds and are seeking Frida out. She manages to escape from them through a small door under her bed that leads her to Talendia, a kingdom inhabited by wizards, witches, centaurs, dwarves and other fantastic creatures. Frida quickly makes friends, but realises that Talendia must face a dangerous enemy. She comes to believe that Samuel also somehow got to this magical world. She is determined to find him before it is too late for all of them. 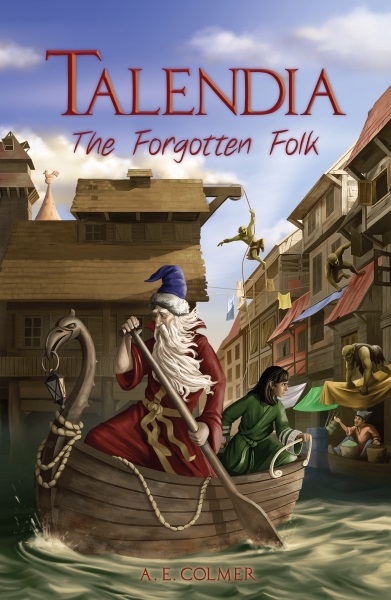 The Forgotten Folk is the second novel in the Talendia series. Through a labyrinth of underground tunnels, Frida is taken by the meadow goblins to their headquarters. There she has to face not only the goblins' sly leader but also the enigmatic sweaguls once again. But in the goblins' dark and damp cell Frida befriends another prisoner and makes an incredible discovery. However, she is in even bigger danger than she thinks: her captors want to sell her to the Witches of Rivergarth, the most fearsome creatures she has yet met in Overland. Frida has no time to waste if she wants to be free again and find her friends, Samuel and Alpert, to share her discovery with them. With their help she wants to save her new cellmate even if they have to set foot in the most dangerous parts of Overland at a time when nobody is safe there and everybody can be an enemy or an ally. And while the most devastating war that Overland has ever seen is looming between its three kingdoms, the searches for the Forgotten Folk and the mysterious prisoner begin.